Cynthia Privett, Viewpoint Research’s vice president of research, co-founded Viewpoint in 1992. 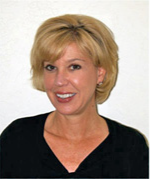 Throughout her career, Ms. Privett has conducted hundreds of channel partner and customer studies and has audited the channel programs of more than 200 vendors. Prior to Viewpoint, Ms. Privett was director of channel research for InfoCorp, a market research firm later acquired by Gartner Group. Cyndi is a devout baseball fan but feels the word “fanatic” is pejorative.